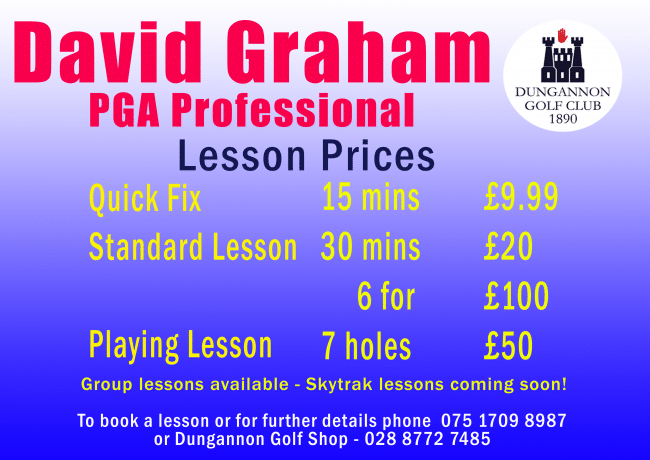 PGA Professional David Graham has been playing golf from a very young age, learning the game at Knock Golf Club where he was a member of the team that won the Fred Daly Trophy in 2007. He also played for Holywood and there he coached his brother who won the Fred Daly in 2016. He began working in the golf industry at Blackwood Golf Club and then became Assistant Professional at Scrabo. After 18 months he was promoted to Golf Professional and he has spent the past few years building up a very good reputation. David is a young, enthusiastic professional who is keen to work with all members of the club. 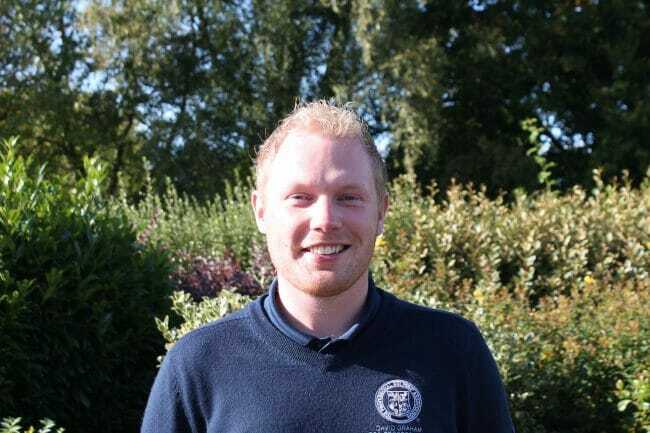 He is looking forward to getting involved with the Junior Academy on Saturday mornings and has a flexible timetable to fit in professional golf lessons for both experienced and inexperienced golfers. Lessons start at £9.99 so, whether you’re a beginner, a high handicapper or playing off single figures, grab your phone and book a lesson… there’s always room for improvement!